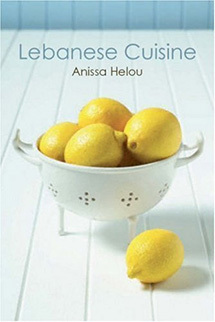 A fascinating book, which was short-listed for the prestigious Andre Simon Award when it was first published, Lebanese Cuisine is a valuable contribution to our culinary knowledge with over 250 classical recipes which represent an important part of the rich and turbulent history of a beautiful and bountiful country. The delicious array of world-famous mezze, offering light and refined dishes, a delight to both eye and palate, provide a style of eating perfectly suited to today’s health-conscious cook.There are wonderful vegetarian dishes as well as aromatic stews, many of which can be left to cook slowly, allowing flavours to develop and often tasting even better when eaten the following day. It is Mediterranean food of elegance and infinite variety, using simple, healthy ingredients in delectable combinations.